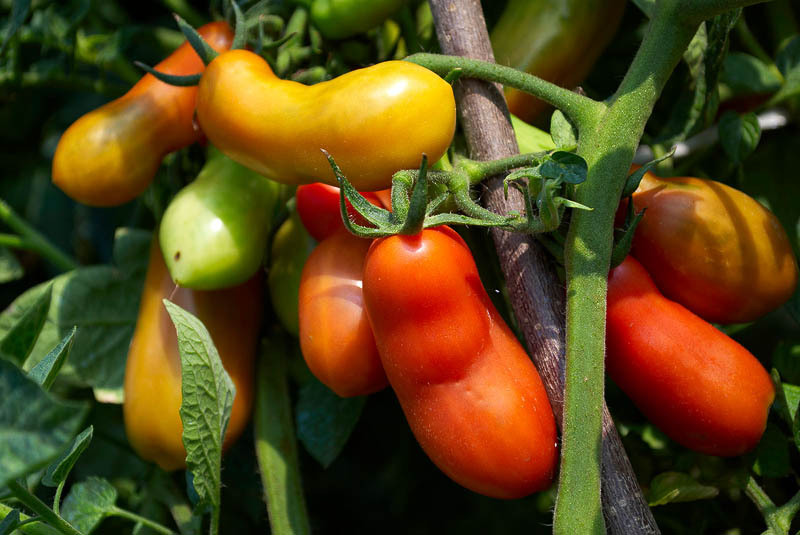 Scenery of tomato plant with bunch of fresh, ripe, red tomato fruits in vegetable garden. Healthy, natural, vegetarian, dietetic food. Horticulture - tomato agriculture in vegetable farm. Tomato harvest, crop, vintage.